Equipment is coveted for giving wardrobe staples a cool Parisian twist, as this 'Simon' blouse proves. 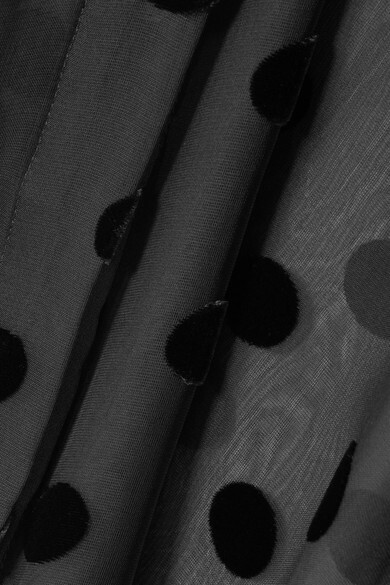 It's made from wispy silk-chiffon in a relaxed silhouette and flocked with velvet polka-dots. Temper the semi-sheer finish with a tonal bra and loosely tuck the hem into leather pants. Shown here with: Joseph Pants, BY FAR Tote, Tabitha Simmons Mules, Jennifer Fisher Earrings.